The Fake Z28. Numbers Matching! The ad on the website said, "1969 Chevrolet Z28 Camaro, numbers matching." My client bought it and paid more than $25,000 for it. The seller was a dealer specializing in muscle and collector cars from the 1960s and 1970s. When he got it home, the buyer contacted his insurance agent about getting proper insurance on the car and was told an inspector would come out to do an appraisal. Obviously, someone could buy a ratty old junkyard Camaro, insure it for a ton of money and have it disappear – to file a fraudulent insurance claim. And no one wants that. The inspector came out, walked around the car and commented on how nice it looked. Especially since it was not a Z28. The leaf springs were wrong and the motor was date-coded wrong. The inspector said someone had taken a run-of-the-mill Camaro and dressed it up as a Z28. As such, it was worth nowhere near what the buyer had paid for it and the insurance company would not insure it for that amount either. The buyer called the seller who refused to help. He said the car had been sold "as-is" and that was that. As noted elsewhere , "as-is" merely means that the seller is disclaiming the warranty of merchantability. It does not – indeed, it cannot – disclaim express warranties made by the seller at the time of sale. Here, the seller had made two such express warranties. That the car was a "Z28" and that it was "numbers matching." After getting nowhere with the seller, the buyer contacted me and we filed suit. Amazingly, the attorney for the seller tried to argue with me that "numbers matching" has no specific meaning in the automobile world and any buyer was foolish to think otherwise. He could not explain away the "Z28" argument, other than to say he did not think it was a warranty. It was. It also amounted to fraud, according to some guy cited in an article about fake classic cars in the New York Times. After haggling back and forth for a while and getting nowhere, I retained an expert on Z28s. A day or two later the expert called me and told me that the seller's attorney had also contacted him and offered to retain him. The expert told the other attorney they were in a world of hurt because "numbers matching" is a term of art which has specific meaning and this car was not a Z28. Shortly after, the seller agreed to buy the car back, unwind the deal, and pay my client's fees and costs. Meanwhile, I suspect that the car is out there somewhere, having been sold as a "Z28" to some other poor sap. 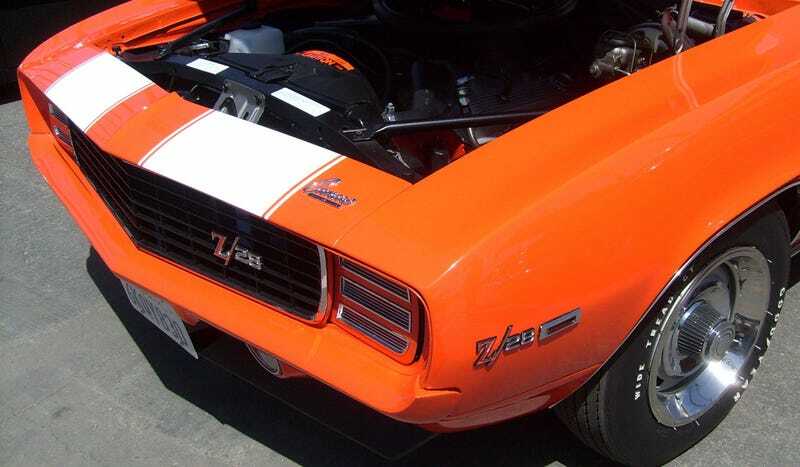 Z28 experts can weigh in below on what telltale signs there are for authenticity – like which side of the steering column the speedo cable comes through the firewall – but most of them are not common knowledge among non-Z28 experts (and I do not claim to be one. That is why I would hire one). And yes, we all know that my client could have avoided this by having the vehicle inspected by an expert before he bought it. But, few people ever actually have their cars professionally inspected before purchase. If nothing else, that is the lesson here. Steve Lehto has been practicing consumer protection and lemon law for 23 years in Michigan. He taught Consumer Protection at the University of Detroit Mercy School of Law for ten years and wrote The Lemon Law Bible. He also wrote Chrysler's Turbine Car: The Rise and Fall of Detroit's Coolest Creation and The Great American Jet Pack: The Quest for the Ultimate Individual Lift Device.